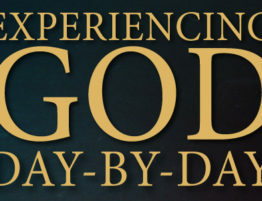 God wants us to experience His joy (John 15:11). Yet we cannot experience His joy until we have mourned over our sin. If we do not grieve over the weight of our sin, we have no concept of sin’s devastating power. If we treat our sin lightly, we demonstrate that we have no sense of the enormity of our offense against almighty God. Our sin caused the death of God’s Son. It causes us to fall short of what God intends (Rom. 3:23). It brings pain and sorrow to others, as well as to ourselves. The Bible says that those who grieve over their sin will draw near to God (James 4:8-10). Those who mourn and weep over their sin are in a position to repent (Luke 4:18-19). There cannot be repentance without the realization of the gravity of sin. Regret for sin’s consequences is not the same as sorrow for sinning against holy God. Confession of sin is not necessarily an indication of repentance. Repentance comes only when we acknowledge that our transgression has come from a heart that is far from God, and we are brokenhearted over our grievous offenses against holy God. Jesus said that those who are heartbroken over their sin will find comfort. They will experience new dimensions of God’s love and forgiveness. His infinite grace is sufficient for the most terrible sin. Do not try and skip the grieving process of repentance in order to move on to experience joy. God will not leave you to weep over your sin but will forgive you, comfort you, and fill you with His joy.